Having business ideas is easy. If you are inexperienced, you might jump to implement it and see where that leads you. If you’ve read stuff about startups for a while, you will probably follow the Lean Startup way (and that is very good). With Competitive Business, I will focus on the growth stage of a startup, to monitor competitors and get key insights on their strategy. To monitor or not to monitor your competitors? Some entrepreneurs will monitor their competitors to get inspired or stay up to date with their strategy, and there are that do not (or not so much). 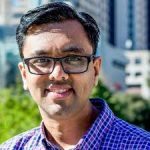 For startups that are bootstrapping or get small investments and are not market leaders or want to become unicorns, you need all the resources you can get to make the right decisions on your product. Learn what your customers want (find out from your competitors) and do it right from the first time, else you may run out of money, or even out of enthusiasm to pivot. As the CEO, you will be responsible for creating prices of your product, but if your prices are too over your competitors’ prices, you might fail and don’t know why. Prices are based on what a consumer is willing to pay for the product, but if a consumer has other competitors to choose from, he may choose a lower price product. A lot of startups will start with lower prices and then grow to prices as they develop the product, as the start is more competitive. I started with the minimum of $5/month plans at Monitor Backlinks and now it’s about $20/month (but the product is much better). Prices change, monitor those changes when your competitors will change the prices. 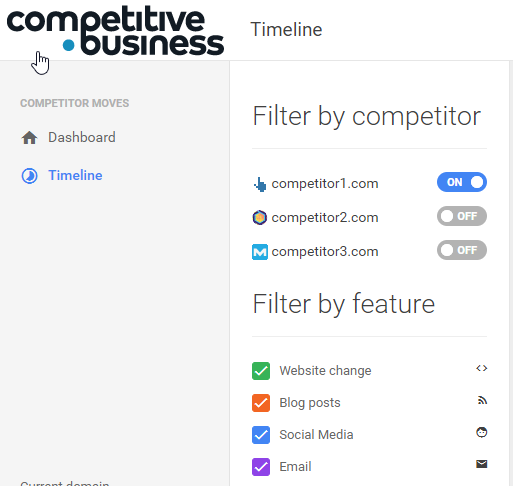 Competitive Business has a website changes feature that will alert you when your competition is making changes to his website most important pages (copywriting, prices, links, award badges, …). Investing a lot of time into monitoring your competitors is not productive. Having a tool that will do all of this (website changes, trial emails/newsletter, social media, …) and consume about one hour a month, I think it’s worth it, that’s why I am doing this with Competitive Business. Feel free tell me your thoughts.